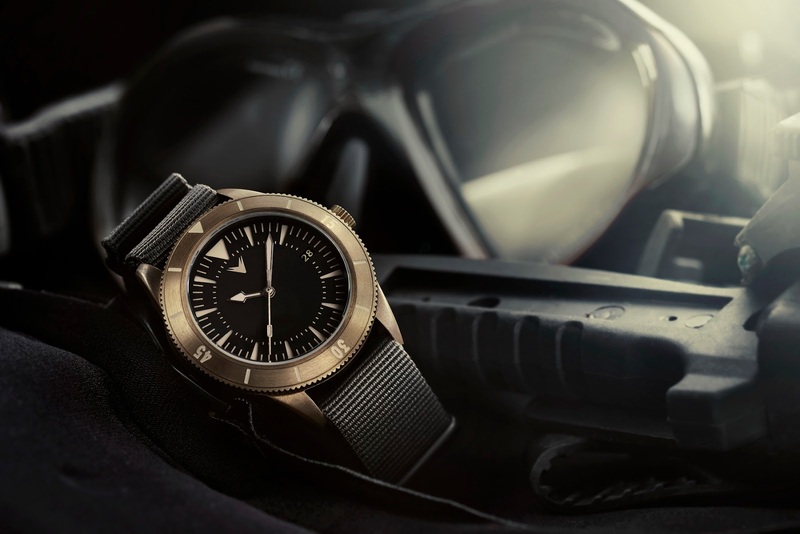 Introducing Ventus and the new Mori Brass Diver 300M, a modern dive watch that has been designed to gracefully age along with you! 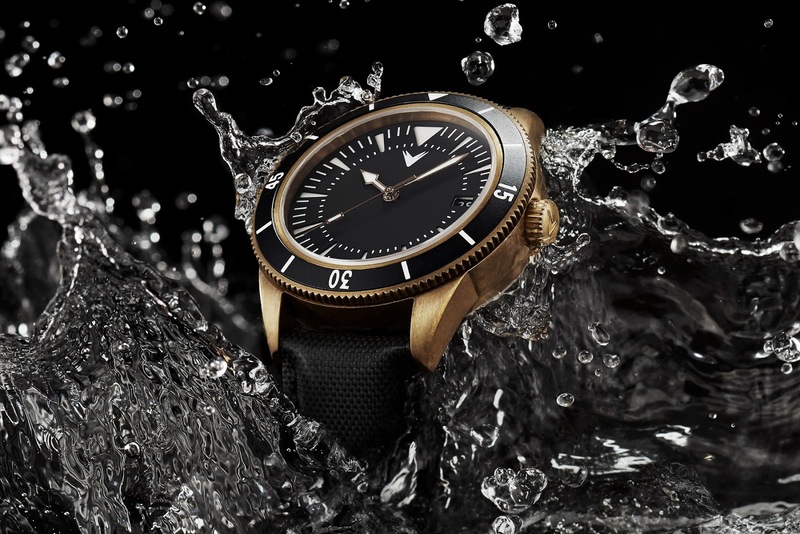 Ventus is collaborative brand started by ZELOS Watches’ fastidious founder, Elshan Tan and his co-conspirator, Shane a passionate collector of mechanical wristwatches. Inspired by the past, but built for the future, the Mori is named after Mōri Motonari “The legend of the three arrows”, a story about a father who in an effort to get his sons to work together, gave each of them an arrow to break. The three arrows were easily broken on their own – however, he challenged his sons to repeat the action again, only this time with three arrows bound together. They proved to be unbreakable. From the lesson of Mōri Motonari, Ventus wanted to design an amazing dive watch by focusing on 3 aspects. 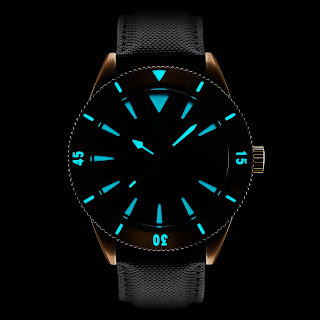 The 'Three Arrows' story is reflected in the dial, when the dive bezel triangle, dial triangle and Ventus logo all line up. 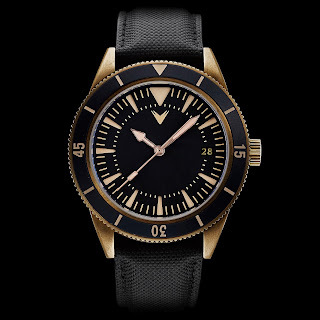 With its sporty design the Ventus Mori recalls the 1950s a time when the depths of ocean had barely been discovered. 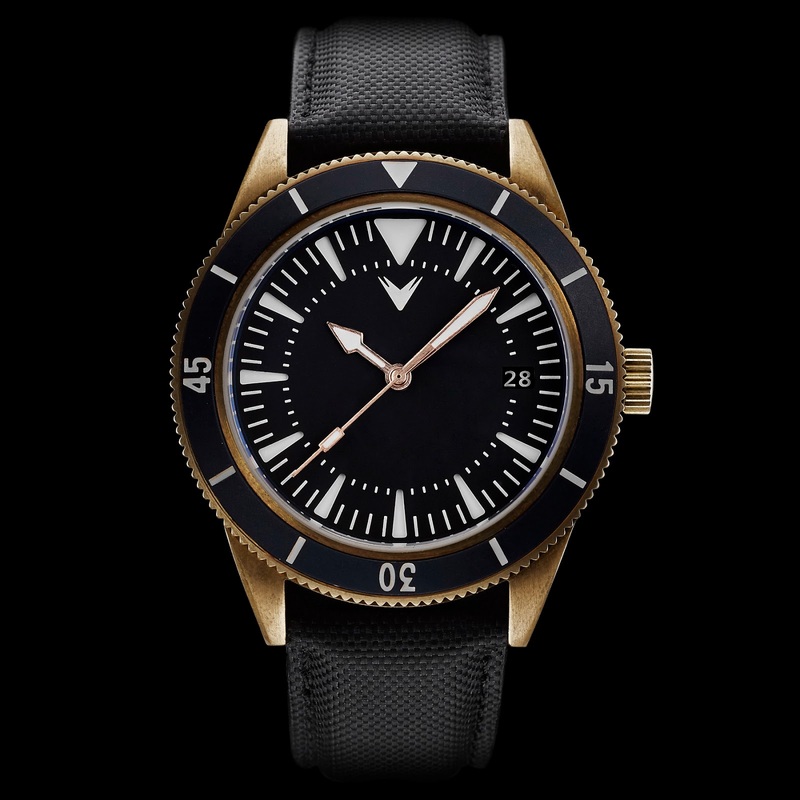 And it’s precisely those murky depths that require a highly legible dial and an unimposing case as rugged as it is elegant – to perform in them. 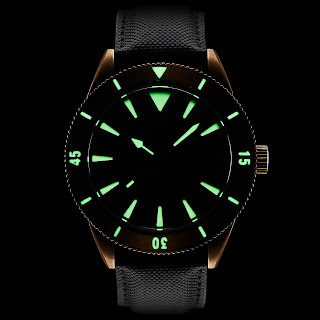 While the Mori is a diver that fits neatly under a shirt cuff, it’s tough enough to be taken on a dive. 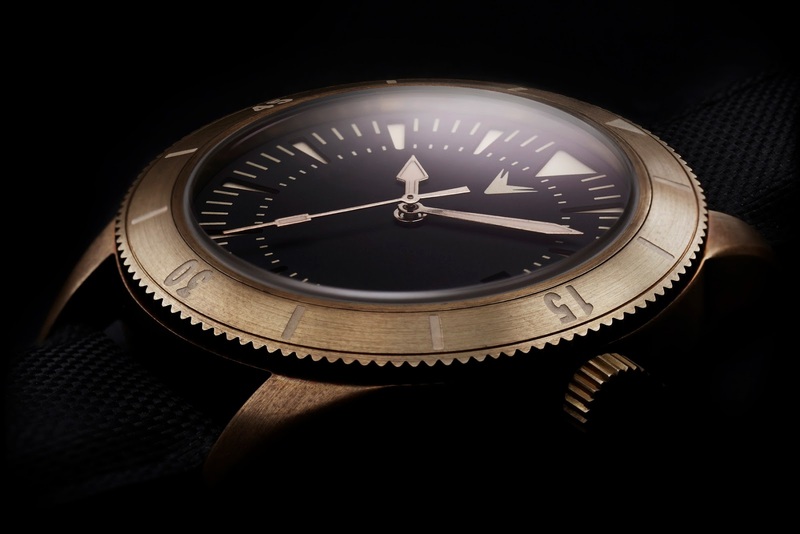 Its case has been made from Brass, a material which patinas as you wear it. 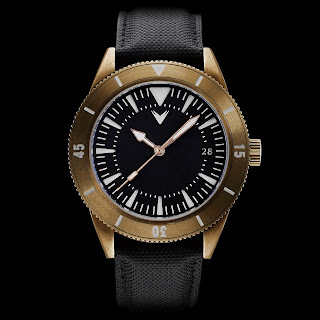 This makes each watch unique to its owner thus giving each of the watch’s its own story to tell. 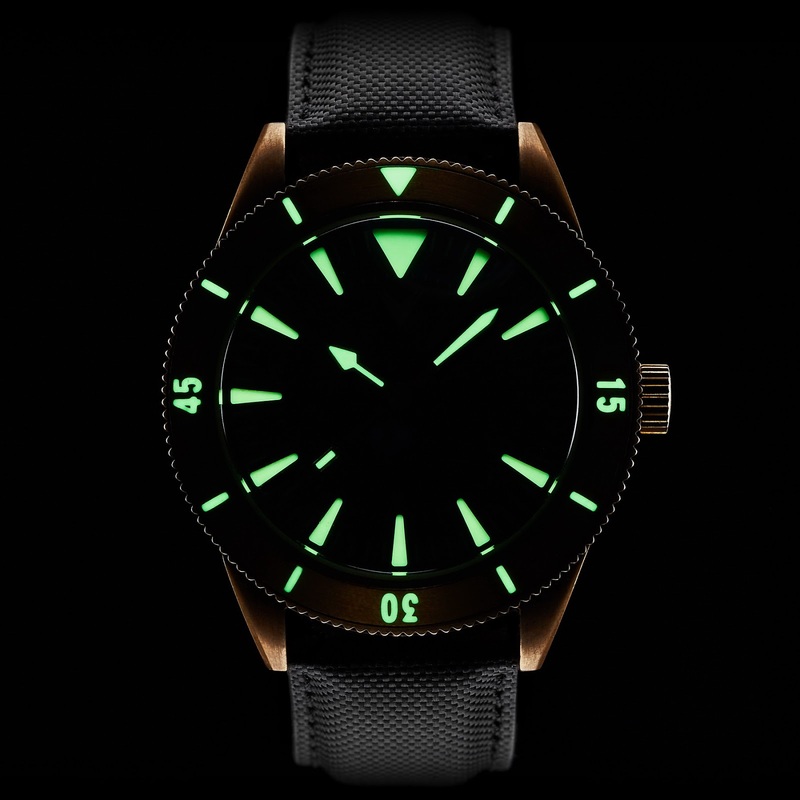 The Mori’s dial has been designed with a sandwich effect that gives a real sense of depth to it. 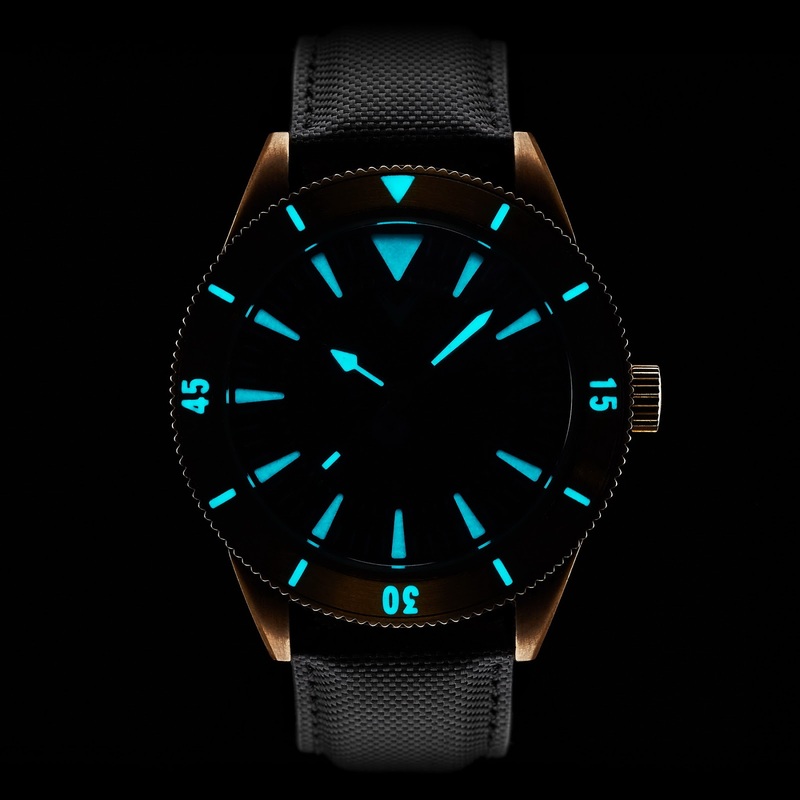 It has been kept clean and legible, with a date wheel printed in matching colors to the luminous paint. 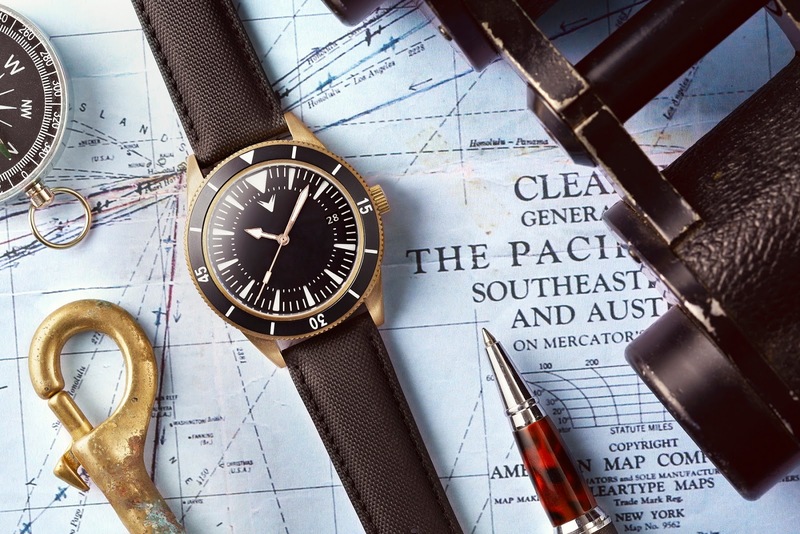 Despite the Mori’s vintage style, make no mistake, it is no old sea dog but is instead brimming with all the latest advancements in dive watch technology. Its slim 12.5mm case (without crystal) is able to withstand a very respectable 300 meter depth. 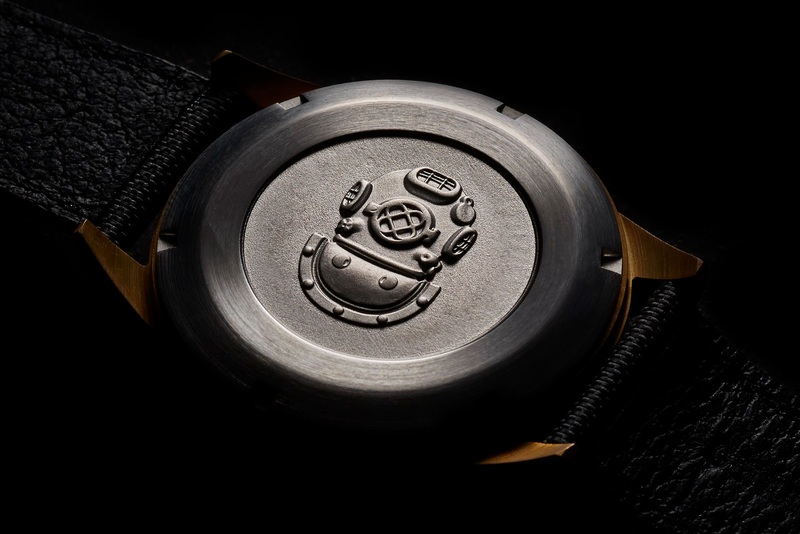 Commemorating its vintage roots, the caseback features a deep sea diving helmet design that has been stamped so as to give it a cool 3D effect. It’s a tried and tested image but one that we all appreciate. A double domed Sapphire crystal ensures scratch resistance during dives while a 120-click unidirectional divers bezel helps keep precise dive-time and the brightest C3 or BGW9 SuperLuminova glow whatever the conditions may be. Each watch is built to last and this will be achieved through precise production and careful assembly techniques. 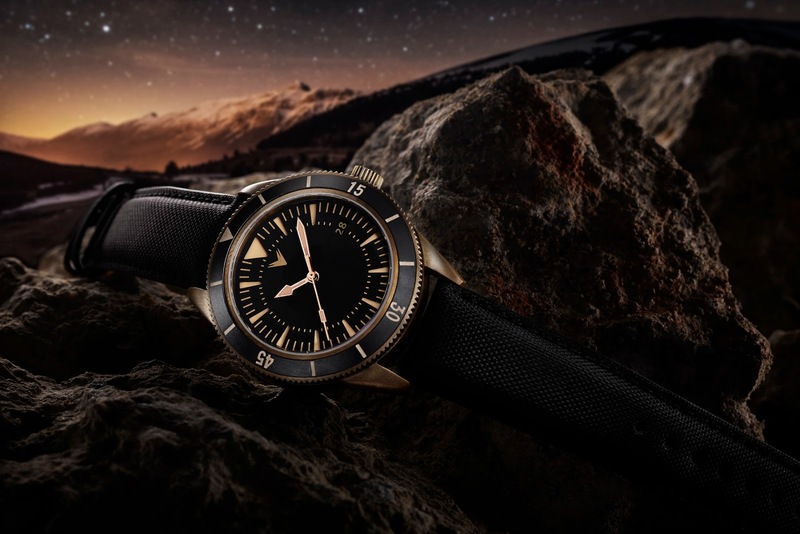 Having worked with their production partner on many projects, Ventus are confident that quality will exceed expectations. 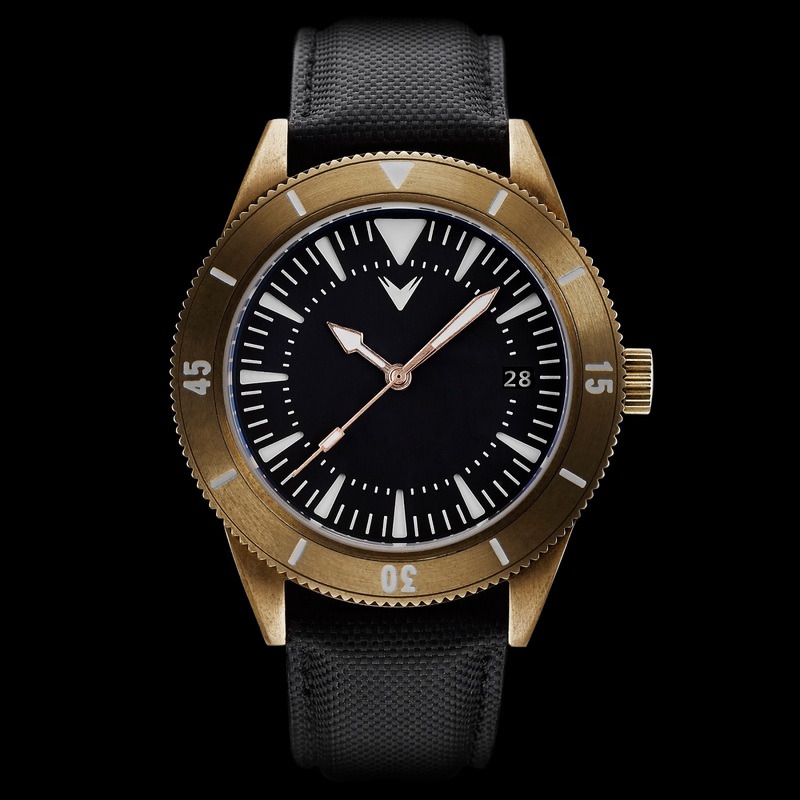 Specifications are as follows: a 41mm case Diameter with a 14mm height (12.5 excl crystal), a 48mm Lug to Lug length and 20mm lug width. 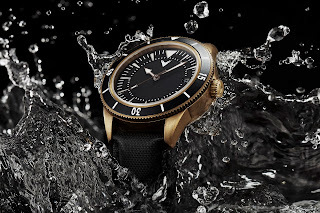 300 meters of water-resistance, a double-domed Sapphire crystal with inner AR-coating, a Seiko NH35 automatic movement. A Brass case with Stainless steel caseback, a Brass bezel with an optional Aluminum insert and a Sandwich Dial with C3 or BGW9 SuperLuminova. Please follow the link HERE to get on the action!